Point-of-care testing has transitioned from early easy-to-understand concepts to a more complicated paradigm. What has influenced this transition? A number of factors will be discussed including regulatory factors, the evolution of point-of-care technology, healthcare economics, and the development of cutting-edge personalized care. These factors challenge the point-of-care market. Discussion of these factors will be provided to assist in directing technology toward point-of-care utilization. EFIRM Liquid Biopsy (eLB) permits near perfect detection of circulating tumor DNA (ctDNA) as compared with tissue genotyping, using a drop of bodily fluid, direct detection, without processing with results available in 10 minutes, at the point-of-care. I will discuss a point-of-care diagnostic, the D4 Assay that we have developed, in which all reagents are printed and stored on a “non-fouling”protein and cell resistant polymer brush. 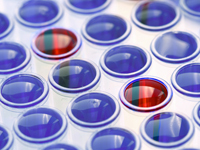 Point of Care diagnostics (PoCD) require rapid, simple, easy to handle and low-cost bioanalytical approaches. 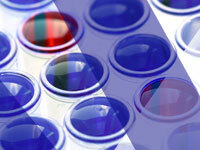 Bioanalytical surfaces play a key role for achieving diagnostic requirements. Here, we review the state of the art of bioanalytical surfaces for PoCD. This presentation will highlight the development of paper microfluidic tests for infectious disease diagnosis and therapy monitoring in low-resource settings. An overview of the exciting development of a group of unique POCT platforms that utilise novel microfluidics design, material science, precision manufacturing, micro-electronics and biochemistry, to provide high quality results on reader-less, fully disposable systems for a wide range of applications. Next generation Point-of-Care devices are enabled by Micro-Technologies. CSEM SA is an applied research and technology organization with technology transfer to the industry in mind. Relevant in-house technology platforms for the diagnostic industry as well as the value of collaborations are highlighted. This talk will recognize the pathophysiological changes of critically ill patients, review the limitations of the current point-of-care (POC) glucose meters and discuss the new FDA guidelines and quality requirement for future POC glucose meters. This talk will introduce a novel micro fluidic platform which can isolate CTCs from the real blood sample in 30 minutes by using Self Assembled Cell Array (SACA) technology. Clinical breast cancer and colon cancer samples were verified with high consistency to the patient prognostics. 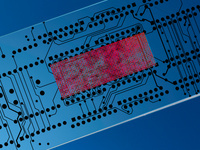 We will discuss our lab's current efforts in microfluidic-based point-of-care diagnostics in the U.S. and for global health, in conjunction with partners in industry, public health, and local governments. This presentation will discuss the application of electrochemical sensors for detecting and monitoring the status of infections in bodily fluids based on detection of metabolites excreted by pathogens. There is a growing demand for simple and reliable point-of-care (POC) diagnostics for use in resource-limited settings. Here, we describe how low-cost optical drives can, with minor modifications, be turned into POC diagnostic platforms for cellular and molecular diagnostics. The key user requirements for clinically useful point of care testing can be summarised as: appropriate analytical performance; ease of use; relevant testing panels; connectivity and cost effectiveness when incorporated into appropriate workflow process redesign. A multiplexed system enabling, on a paper device, the simultaneous detection of several RNA strands is discussed.